Michael J. Sexton specializes in employment advice and counsel and employment litigation. He has extensive experience in all areas of employment law, including wrongful termination, discrimination, harassment, wage and hour issues, family and medical leave, disability discrimination and accommodation and employee privacy. Mr. Sexton represents employers in state and federal courts in single and multi-plaintiff actions. He also defends employers against class actions and claims filed under the California Business and Professions Code Section 17200. Mr. Sexton represents employers in various administrative agency matters, including the California Department of Fair Employment and Housing, California Department of Industrial Relations and the United States Equal Employment Opportunity Commission. Mr. Sexton has achieved numerous defense judgments on behalf of employers, including the successful defense against a racial discrimination claim in Hawkins v. Home Depot USA, Inc., 294 F.Supp.2d 119 (9th Cir. 2005). He also successfully represented Home Depot in Arrellano v. Home Depot USA, Inc., 245 F.Supp.2d 1102 (9th Cir. 2003), a decision which has important implications for any employer with a nationwide workforce seeking to remove a case from state to federal court on the basis of diversity jurisdiction and the factors that must be considered in such circumstances. Mr. Sexton is a member of the Orange County Bar Association Labor and Employment Law Section and the California Bar Association Labor and Employment Law Section. 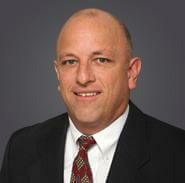 Mr. Sexton previously served as Corporate Counsel for Employee Relations for The Home Depot.